When the Sequencer is driven by the MIDI clock with Seq Tie Disabled, the gate time is now 50%. Previously it was far too short. This is a bugfix. There are no longer any communications with the DAC unless there is a voltage that needs updating. This reduces digital traffic on the I2C lines and reduces the CPU burden as well. Added waveform #11 called “Drum” to LFO2. When used in conjunction with KeySync ON, provides a single downward ramp per note played. Perfect for resonant feedback style drum synth sounds. Added a SysEx command to reset the synth to Factory Defaults. The last two items are also supported in the software. For now these are available by request only. I will put them on the web site when I get time. The latest User Manual has been updated to reflect the changes. EMAIL ME for copies of the firmware, manual and software. 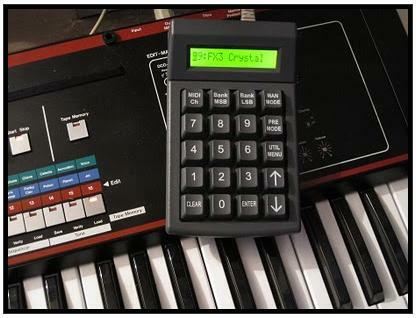 There have been several major updates to the software and firmware for the MPC keypad over the past year. This latest software update (v3.22) fixes a minor bug you might encounter when using the Pre- or Post- Program Change arbitrary MIDI data. The current firmware is v3.20. Check out the keypad page to download the latest software. 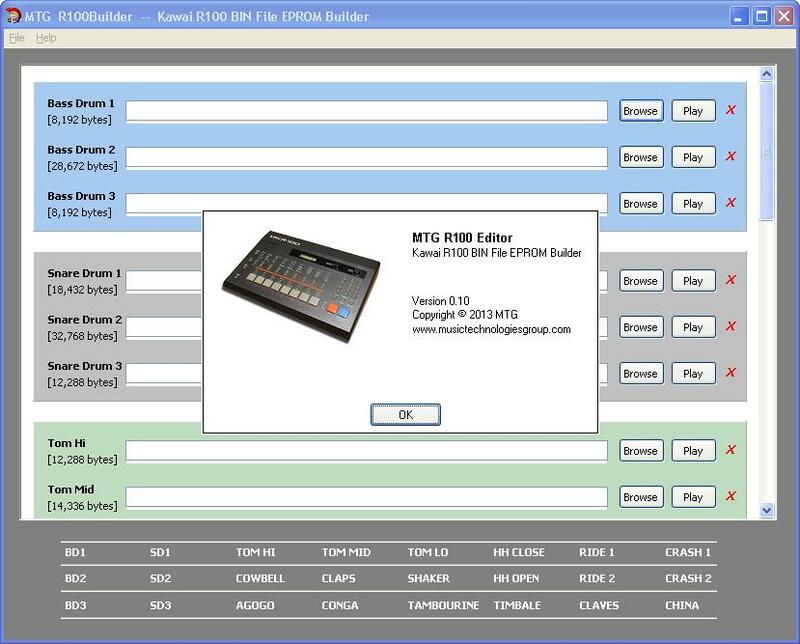 This software will enable you to create your own custom EPROMs (BIN files) for the Kawai R100 or R50/R50e legendary 12-bit drum machine/rhythm composers. In a nutshell you collect/create a bunch of WAV files, one for each of the 24 instruments and then this software compiles and converts them into the compressed Kawai format. 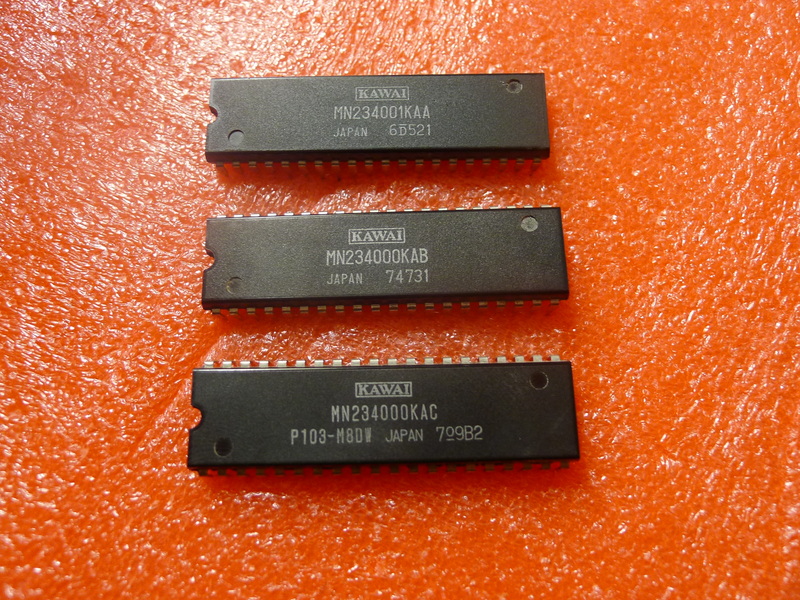 It’s been a pretty big undertaking, starting with the dissection of the Kawai ASICs. I will eventually include a User Manual and a bunch of WAV and BIN files to get you started. Should fit within the sample space of the pad you are targeting. The look and feel of the software is based on the HR16 Editor by Dustin Licis. You can save file sets as a project to save time in the future. Why bend and mutilate a fine instrument when you can bit-crush samples and add them to your kit? Just a quick note to say that I have made some progress with the Kawai R100 12-bit compression encoding. What Kawai are doing here, near as I can tell, is storing the sound data in logarithmic format. 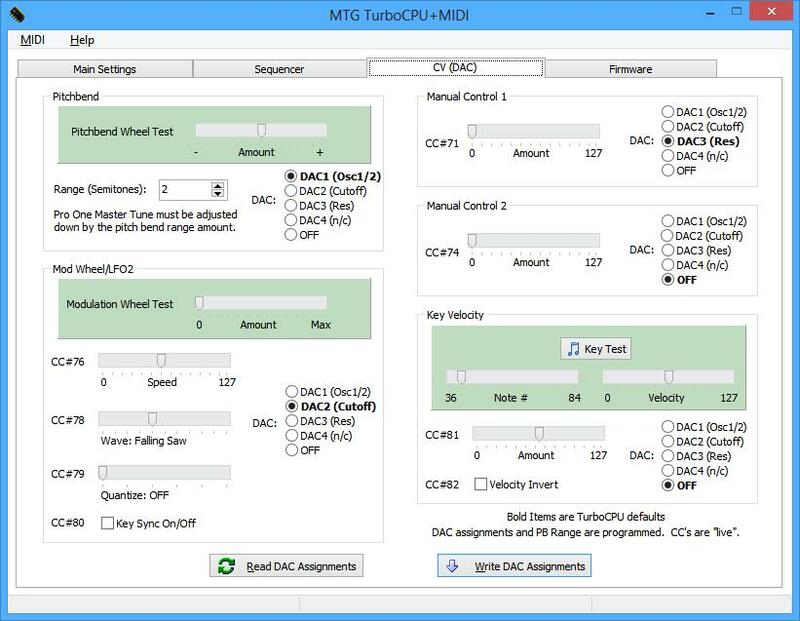 This allows them to perform mixing and volume control in the DGU ASIC using addition, rather than multiplication. Thanks to the fine people on Synth-DIY for mentioning this posssibility. 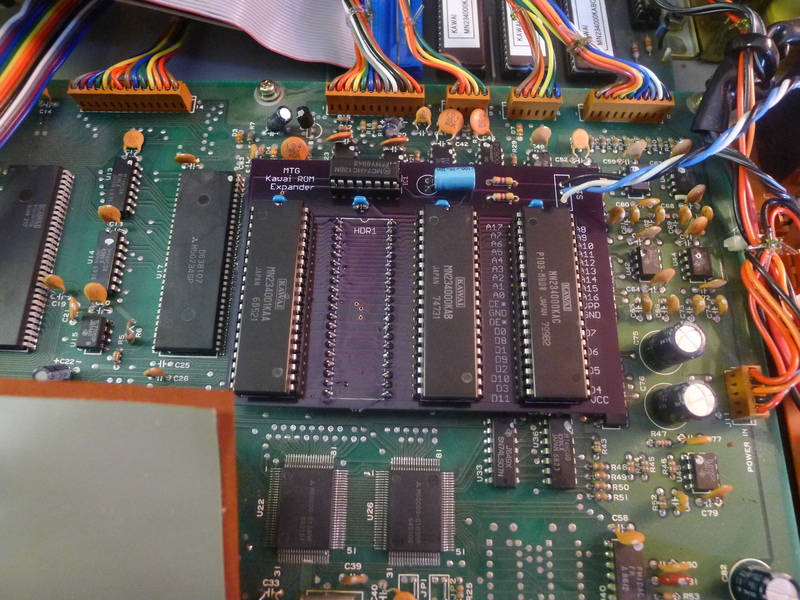 I hooked the EPROM data lines and the DAC data lines up to a logic analyzer and captured an output (DAC) value for every possible input value. Needless to say it was a lengthy and painful process. Here is the preliminary result. I have yet to create a proper look-up table (or transfer function), but this is a good start. 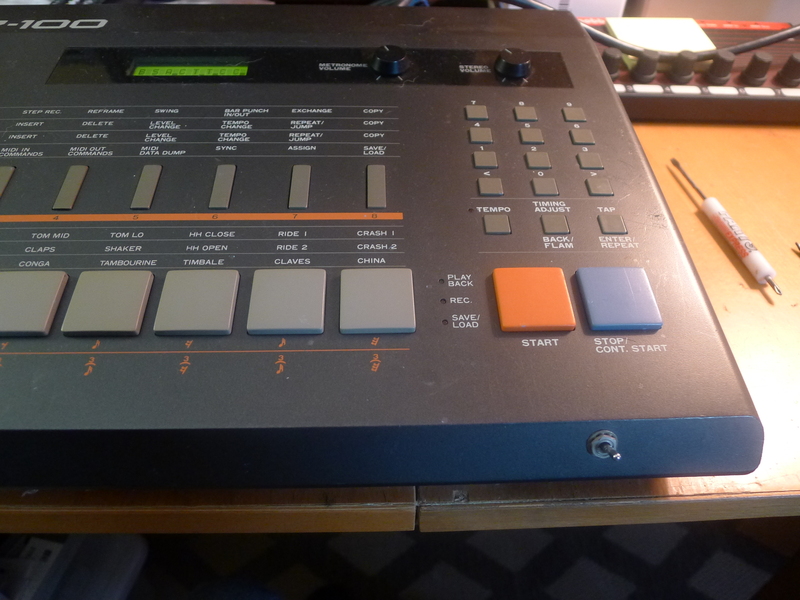 As you may have seen in my previous post, my Kawai R-100 Drum Machine came with a 3-EPROM “soundswitcher”. Since this is no longer available, I thought I would make my own. It’s not an exact clone of the Drumware Inc board. First, I used different logic … just a personal choice. 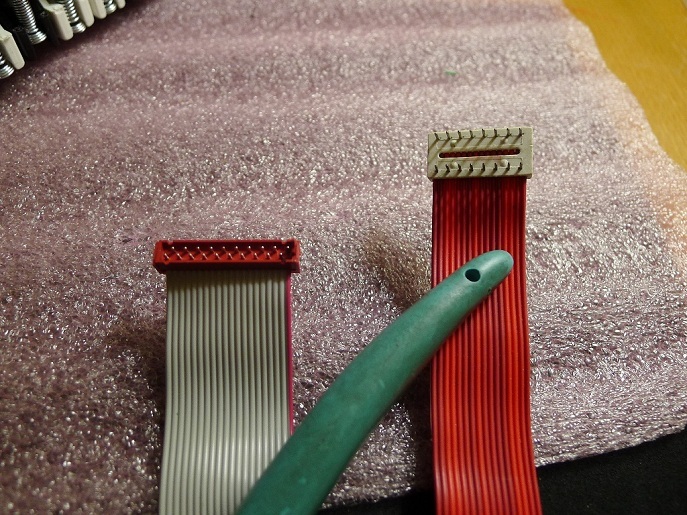 Second, I eliminated the ribbon cable to cut down on cost. It looks like there is just enough vertical room to pop the board on top, so that’s what I did. 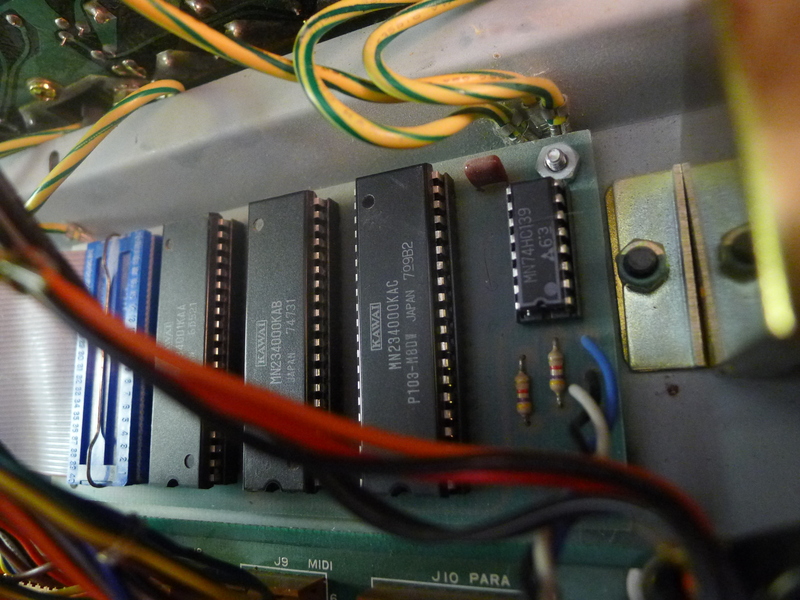 In my unit the Kawai ribbon cables are such a mess that it’s hard to close up the lid already. Finally I did a 2-layer board compared to the old Drumware single-layer board that was probably taped up by hand. 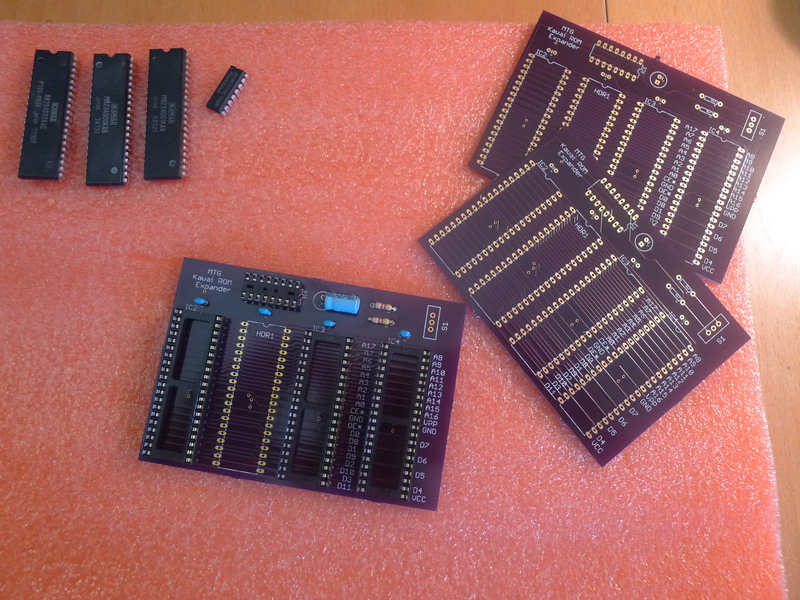 In fact this is how I used to make SRAM memory expansions myself in the late 80’s. I even advertised them in the back pages of Polyphony magazine (for JX3P, OB DX, Polysix and a few others). I also silk-screened the pin information on the top. Read my previous post for more background info. 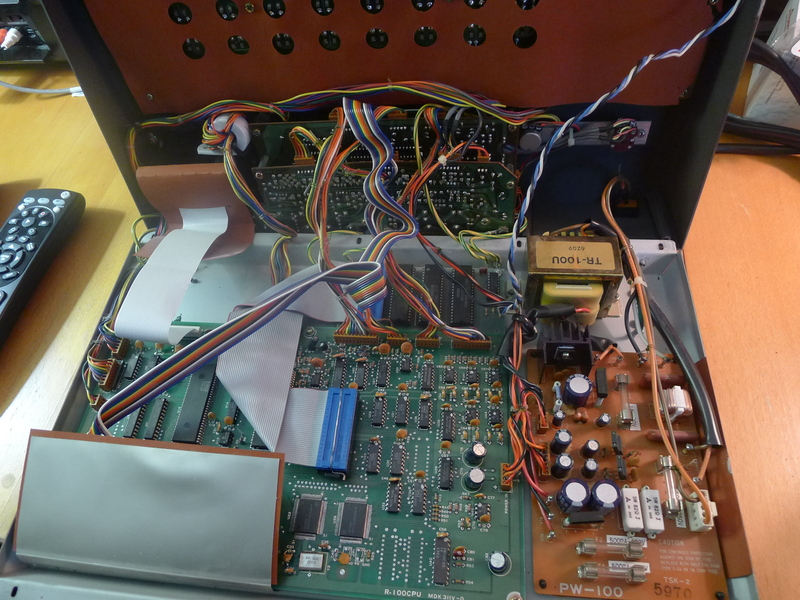 Kawai R100 Soundswitcher board by Drumware Inc. 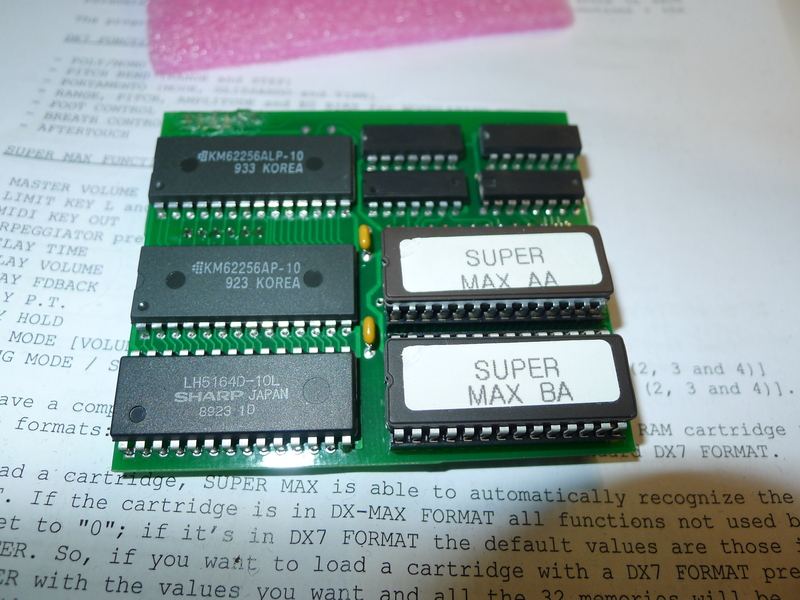 I think these ROMs are the original R100 and R50 and the R50e judging by what I’ve read elsewhere on the web. The sound format is 12-bit (non-linear) with a 32kHz sample rate. Yamaha DX7 SuperMAX is in! Great expansion and feature upgrade for the beloved DX7. NEW Keyboard for SCI Pro One! A long time ago I ordered a new 37-key Doepfer keybed and cable from in the USA. In fact I think Doepfer gets them from in Europe so there might be a better way to obtain one. The new keybed is make/break (velocity sensitive) style, but the Pro One does not have the pinning to make use of the break contacts, so I only used the make ones. Long story short, after making a new cable out of the supplied Doepfer/Fatar one and a 16-pin DIP, my Pro One keyboard is like brand new! 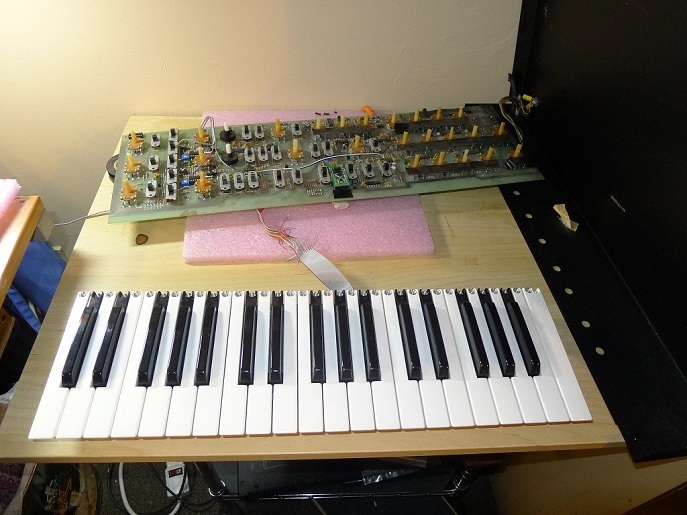 The new keybed will fit in the Pro One, but the hole pattern on the bottom of the synth need to be drilled. This is fantastic news for anyone that has the membrane style Pro One keyboard. Anyway it will work with either the original Pro One CPU or my new TurboCPU. 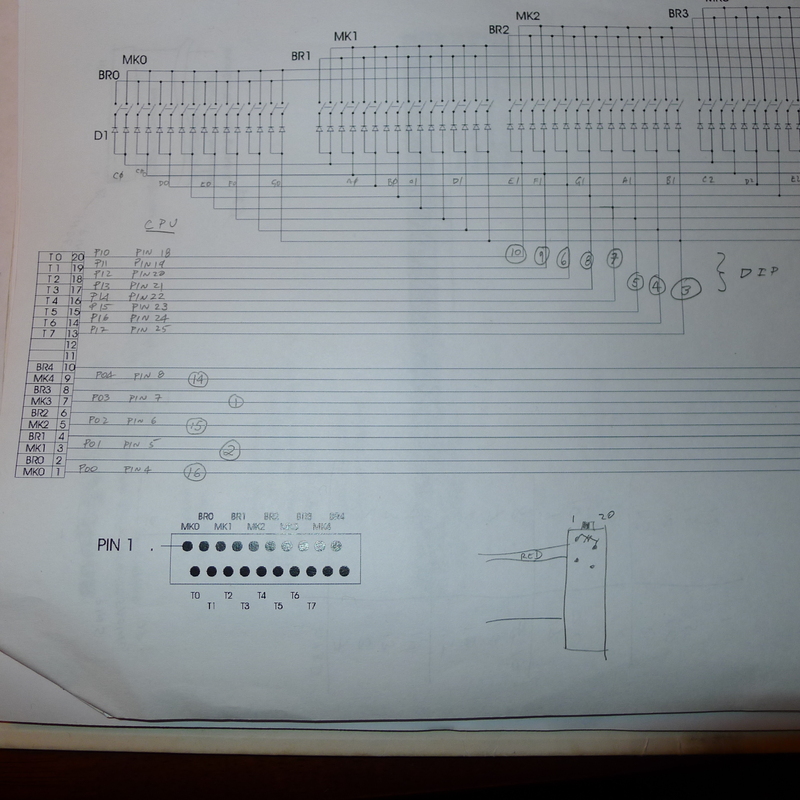 I have a couple of photos, but will also upload a wiring pinout later when I get time.